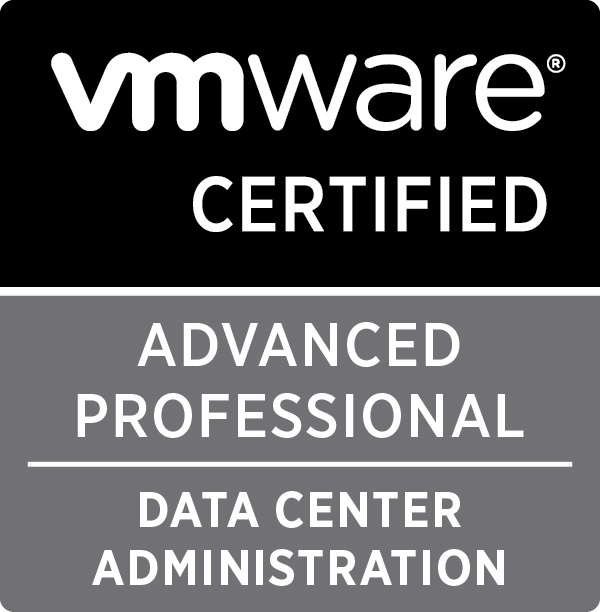 Today I reinstalled my vCenter server so that I could manage both of my vSphere Hosts centrally, the installation itself went as smoothly as possible but there was one small blip. 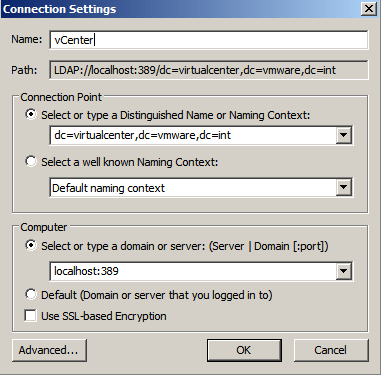 When connecting to the vCenter server I discovered that I couldn’t browse to the Hardware Status page but if I connected directly to the host with the vSphere client I had no issues. 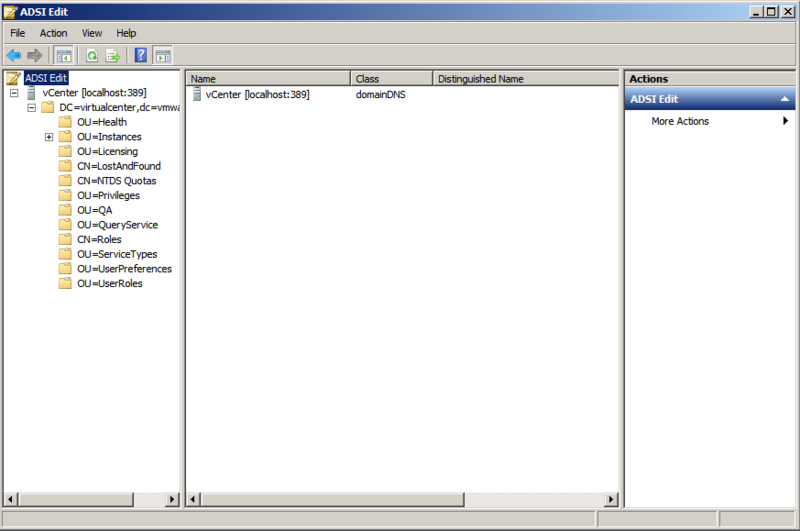 A Google search later found that this had been an issue back in 2009 but I hadn’t really found much since, the methods to fix this differed slightly with me probably down to the fact that I had installed vCenter onto a 2008 R2 SP1 installation. 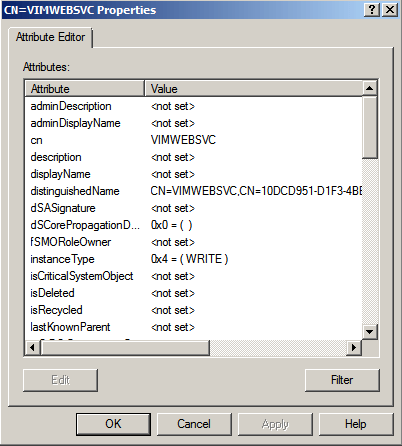 To fix the issue on a 2008 R2 installation do the following. Right click on the CN=VIMWEBSVC and choose Properties. 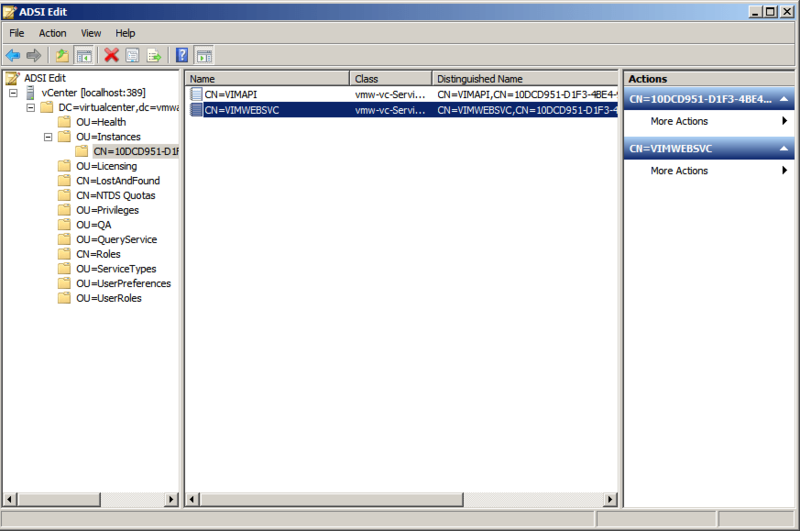 Here we can see that this is populated with a DNS name, we are going to change it to an IP address. Click OK and exit out from ADSI Edit. At this stage I then launched Services.MSC and restarted the two following services. However, when trying to restart the VMware VirtualCenter Server service (which requires a restart of the Webservices service anyway) I had an issue where the VMware VirtualCenter Management Webservices service wouldn’t restart, at this point a simple reboot resolved the issues. 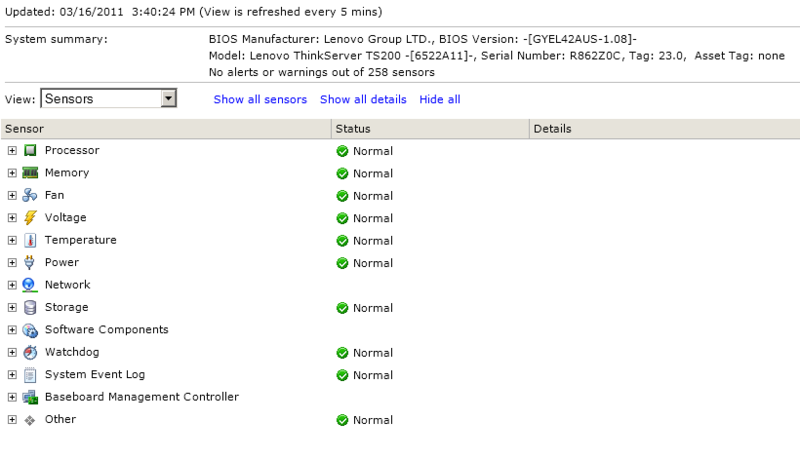 Once the vCenter server had restarted (and I reconnected back via the vSphere Client) I then went to the Hardware Status Page and was presented with the following screen. Thanks for this advice. It was very usefull. I want just to add a link to a microsoft knowlege base about ADSI Edit. I was unable to launch adsiedit so I had to register adsiedi.dll (regsvr32 adsiedit.dll) first as statuted by the above mentioned kb. Thank you so much. This totally fixed my hardware tab refresh issue and the fact that it now polls hardware statuses in the background every 5 minutes like it’s supposed to! I didn’t find out about 2 RAID drive failures on two seperate servers today until I just happened to manually refresh the hardware tab. Now I should be getting alerted via email the minute a problem occurs instead of doing this once a day. 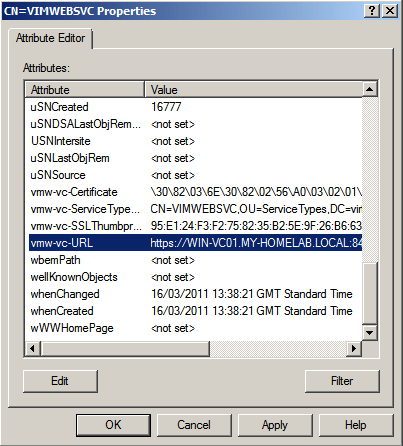 Any idea how to apply this fix to the vCSA (vCenter Server Appliance)?